This morning, I am angry. Angry, frustrated, sick, with an outright fire burning inside of me. This morning I have to explain to my daughter that the bright hopes for the future she went to sleep with last night are now gone. I try not to write about politics—this a blog about children’s books after all—but the politics are personal now. Because how do I explain that the person who will take over the reigns of this country in January is someone I would not allow her in the same room with? Someone who talks gleefully about deporting her friends who came here from other countries, and mocks the ones with disabilities. Someone who thinks our LGBTQ friends and family should be stripped of their rights. Someone who believes that anyone who doesn’t share his skin color or a single religion is beneath him. Someone who thinks she and I are both lesser because we are female. For her sake, I will bury the fire inside me for a little while. I’ll be calm and talk to her about the election results so as not to panic her. And I’ll tell her—and genuinely believe—that the lessons I’ve always gleaned from my personal Good Book, Middlemarch, are truer and more necessary now than ever. Like that book’s estimable Miss Brooke, we will work to widen the circle of light. We’ll strive to be among the many people who work to make the world better by living our lives faithfully. And we’ll look out for the people around us—the ones we know and the ones we’ve never met before. Then today and in the days that follow, I’ll work to keep editing and writing books for young people. I’ll know deep in my heart that creating literature for kids will be its own means of widening that circle of light. And I’ll take comfort in that. But I don’t want to lose the fire and the anger and the frustration I feel right now. I don’t want to grow complacent and have the outrageous become the everyday. Months ago, when my daughter asked if we’d move to Canada if the election didn’t go the way we’d hoped, I told her calmly but firmly that no, we’d stay and we’d fight for what’s right. Here’s hoping that this is something we can all that do in our own ways, large and small. The next few years are going to be a bumpy ride. But I’ve got my seatbelt fastened. And I’m ready to face whatever comes. Sure, Cinderella’s castle isn’t really covered in glowing icicles. But it sure does look pretty. Sometimes it’s good to turn the laptop off and leave it at home. Rid yourself of any possibility of writing or revising and let your brain just rest. I am not good at this. As a slightly compulsive person who’s also a working mother, finding time to write isn’t always easy. So I force myself to work after work and on weekends. I make myself sit at the computer and put words onto the page. This can be a good thing. It can also be damaging when it leads to no rest and no playtime. A gal needs a break every now and then. There’s no such thing as “real” magic. I know this as a sophisticated adult-type person who’s view of the world is firmly grounded in reality. But magic is so much fun, even if it isn’t real. The magic at Disney World is so seamlessly created that it almost feels real at times. And even when it doesn’t—even when you know the snow on Main Street USA isn’t the real thing because chance snow squalls don’t happen in Orlando—it’s still pretty darn awesome. The careful orchestration doesn’t lessen the greatness. Instead, it adds to my marveling at it. Someone (or more likely a large team of someones) crafted every last moment of the Disney World experience. It’s world-building of the highest order. Magic isn’t real—it’s created. Writers create magic in the same way, and it’s nice to be reminded of that now and again. Embracing one’s lack of cynicism is a good and healthy thing. I am not a cynical person. I hope never to be one. Sitting on a Disney shuttle bus surrounded by happily chatting families from all around the country—whose kids are sporting Elsa dresses and whose dads are wearing mouse ears—it’s like a breath of fresh air wafted through. And on a crowded shuttle bus, that’s saying something. The world needs more fireworks. And song and dance routines just for the sake of having song and dance routines. And dance parties in which people wearing large, furry character costumes bust a move with you. And folks who without a shred of irony wish you a magical day. Because who doesn’t want to have a magical day? So, I thank my lucky stars that there is such a place as Walt Disney World and people who have job titles like imagineer and kindly folks who are happy to chat with you about how awesome their vacations are—and how much they hope yours is as well. Now I’m back to work and life and even some writing and revising. But if you wish me a magical day, I’ll be happy to wish one right back at you. ABC created the show, now I’m creating the fanfiction (image via ABC). It had never occurred to me to write fanfiction until my kiddo requested (or what might more accurately be described as begged and pleaded with) me to do so. I’m now past the halfway point of my “journey” in DWTS fanfiction—embarking on chapter seven, “the most memorable year of your life” week—and it’s been an eye-opening experience in some ways. Because as crazy as it sounds (and I do acknowledge that it does sound a little crazy), I’ve learned a lot about writing from this exercise. Writing for your audience: I often read interviews with authors who say things like, “I just write the story I need to write. I don’t think about the audience, age range, etc.” And okay, sure. That’s good as far as it goes, but sometimes it doesn’t go too far. When you’re writing for young kids, you have to meet them where they’re at to a certain point, and be aware of what they’re emotionally and developmentally ready for. The kinds of issues you might be facing with family and friends when you’re in the first grade can be vastly different from those you face in the fourth, even though the actual ages involved aren’t that far apart from each other. So it’s been good for me to have to write not just for a specific audience, but for an audience of one—whose tastes and experiences I know very well indeed and whose interest it’s been a joy to engage. World building: Writing this kind of fanfiction is its own special brand of fantasy—it’s far outside the realm of what would be possible in my kiddo’s world and in its own way, has some of the elements you’d expect to find in young fantasy: being chosen for a quest, being able to do something you never thought you possibly could. It also has a specific world within which I have to operate as I’m writing or else the story won’t make sense or even work on a very basic level. Skipping the romance: I am a romantic (with both a capital and lower case R) at heart, and I tend to write stories that have at least some kind of romance involved. It’s been interesting to write something that can’t have anything romantic involved—the main characters and dancing partners, after all, are an elementary school-aged girl and a grown man (Val—it’ll always be Val for my kiddo). So, there’s a friendship and a trust between the two main characters but that’s all. It might sound so obvious that it should have occurred to me before this, but writing a story without a romantic element is pretty much the same as writing one that has that element. It’s about the relationships, no matter what form they come in. Even without these lessons learned (lessons which I certainly didn’t anticipate), I’ve been gladly taking up my laptop to write this rather bonkers little chapter book for my biggest fan and best reader. She loves it, I love creating it for her—it’s a win-win. Now I just have to get it all written. 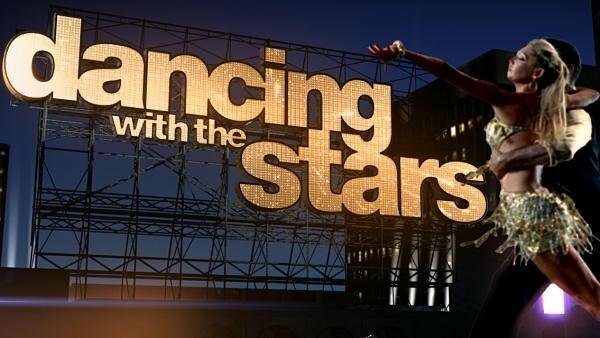 The new season of DWTS starts soon, and I’ve got a fictional Mirror Ball Trophy to hand out before it does! Like Kate and Leo’s love, my revision process goes on…and on. Good friend, brilliant writer, and fellow Lesley MFA type, Sabrina Fedel, tagged me as part of an on-going “My Writing Process” blog tour. Since it’s good to stop sometimes—especially when you’re in the throes of something like writing a creative thesis—and really ponder what on earth it is that you’re doing, I took up the call. So, without further ado, here’s my two cents. Um, it’s complicated? My thesis is a historical fantasy novel set in the late eighteen hundreds and told in three voices. If this sounds more ambitious than it strictly speaking should be, that’s because it is. It has entailed an absurd amount of very hard work just to get a first draft completed, and will continue to require the same for near, as well as distant, future. 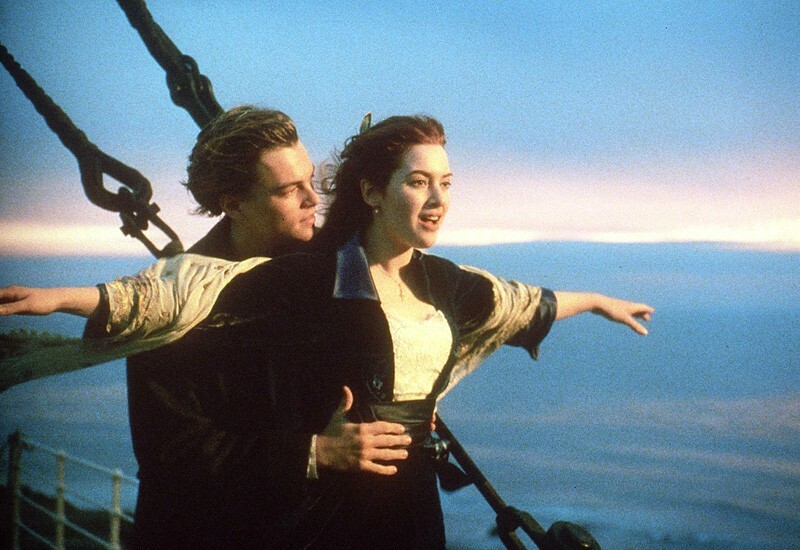 BUT…I love this story with all of my heart and soul, and so the researching and revising will, like Kate Winslet and Leonardo DiCaprio’s love in Titanic, go on and on. Hopefully the end result will be less tragic, however. Now that I have Celine Dion firmly in my head, let’s continue. Because this is only one of two large writing projects I’m working on at the moment. As I’ve mentioned before, I stress write. And my current stress writing manuscript is well past the first draft but not quite to a finished second draft yet. Let’s just say that the last two thirds of the story is being entirely rewritten. Far from an overcomplicated historical fantasy, this one is contemporary YA that focuses on family—the one you’re born with and the ones you can create for yourself—with a healthy dose of romance thrown in for good measure. If my first story is my Titanic, this is one more akin to say, Bring It On (in my dreams, at least). Both are necessary for my sanity. Ha—well, let’s just say that I hope it does? Right now, I’m in the thick of both and so it’s hard to tell really. I find with my own writing that it’s necessary to take a step back from it in order to gauge something like this. Mostly, I hope for the best and I keep revising. The aforementioned need for sanity is a big part of it. This does not mean, however, that I’m the type who works out her neuroses on the page. I write fiction and I find that the world of make-believe is much easier to tackle when it’s not tied down to my own special blend of emotional issues. At this juncture in my writing, I guess the question I’ve been thinking about a lot more is why I’m attempting to write YA fiction rather than why I’m working on a specific story. The answer is a complicated mix (yes, I’ve used that word twice now—it’s not by accident) of factors. Clearly, I edit books for young readers for a living, so literature for kids and adolescents is something near and dear to my heart. And while I love, love, love writing picture book stories, right at this moment, I’m feeling really captivated by YA and how, for this age group, so much is in flux and changing—or about to change—in momentous ways. And so, this is where I am right now. Okay, at the risk of continuing to make myself sound like a madwoman, it works in giant bursts of writing energy—often in the middle of the night when I’m in the midst of a first draft of a story—during which I am hyper-focused on what I’m writing. Then there’s a cooling down period. It’s almost like having a crush. At first, it’s hard to think about anything else, but then you get to know your crush better, and either you lose your initial fervor, or your attraction grows into something deeper. I try to take advantage of that first rush of the crush while it’s with me and get as much done as I possibly can during this little honeymoon period. Then it’s on to the harder work of figuring out of this crush is worth my while, or is just a flash in the pan. My laptop is filled with discarded ideas that have proven themselves unable to keep my attention—whose dashing concepts or brawny shoulders of plot briefly captured my eye, but whose long-term relationship prospects were dim. The two projects I’m working on right now are at different stages in their post-crush lives, but both are firmly in that phase. For my thesis, I feel like the story and I have hit a few bumps and we maybe need to take some time away from each other before we recommit. For my contemporary YA story, it’s still a newer relationship, so while there are kinks to work out, it’s not hitting the skids or heading into therapy or anything. Yet. I’m not taking this metaphor too far, am I? The long and the short of it is: I write in bursts, and when they come, I write a lot and whenever I can possibly fit it in. If that means at 2:30 in the morning, so be it. I keep my laptop by my bedside, just in case (no long hand writing for me, thank you very much). For many years, I tried to keep myself on the straight and narrow when it came to writing time, but I’ve learned to just go with what works. Often this means I am tired. But it’s worth it in the end.